I'll be honest, I can sometimes be a bit putt off by Christmas cheer, especially when it's before Thanksgiving and even more so when it's before Halloween. I mean, Halloween is the absolute best right?! Well, this year, I'm feeling more of the spirit and cheer!! Spellslingers is doing something a bit fun and a bit special for you. 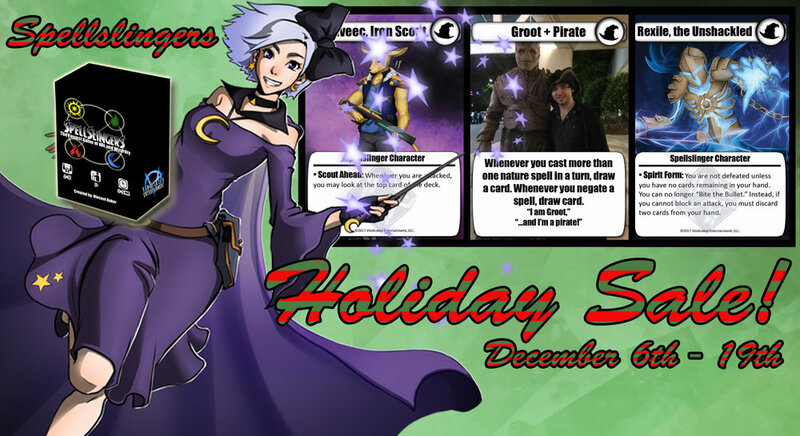 Any purchase of a Spellslingers deck, will include a custom card that you create! Or, if you just want to get a custom card made, you can do that too for a limited time! *Cards are designed and offered as PDF's and will be designed to be printed and used by you. You will be the only one to have access to your custom Spellslingers card. *Put your email in the "special instructions" of your purchase, so I will be able to reach out to you about your custom Spellslingers card.